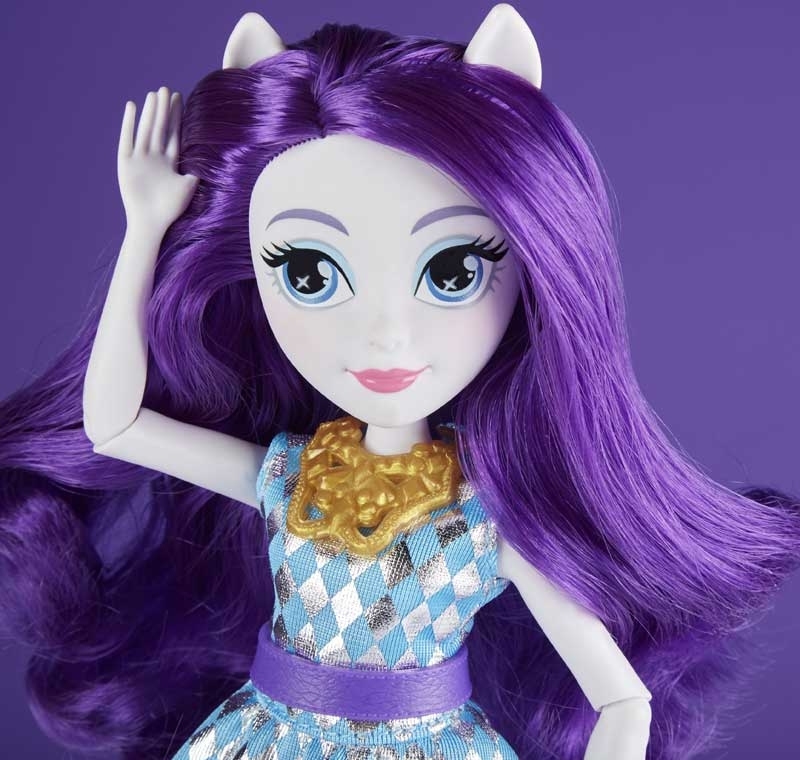 Rarity has her finger on the fashion pulse, and her fashion sense shines with sophisticated style! 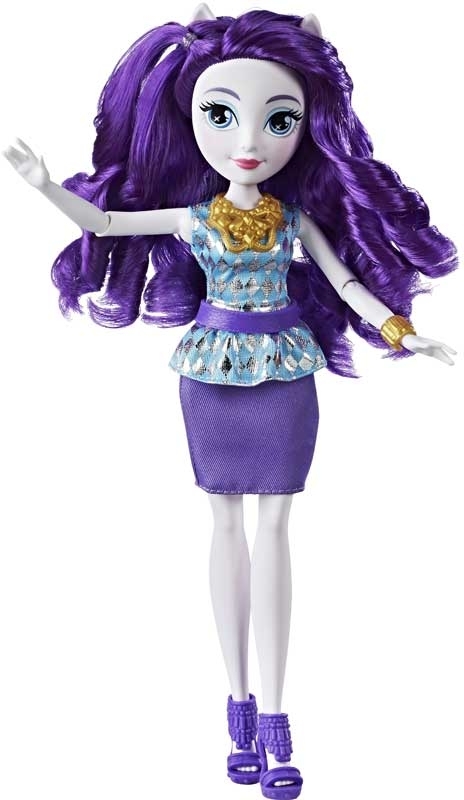 Inspired by entertainment, this 11-inch Rarity fashion doll is dressed in a chic outfit, complete with fashion accessories. Her cutie mark is represented in the shiny pattern on her top. She has 7 points of articulation for imagining friendship-filled stories down the halls of Canterlot High and beyond!